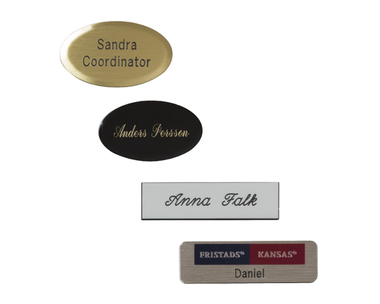 We engrave name signs with personal names or company names in plastic, silver or brass. 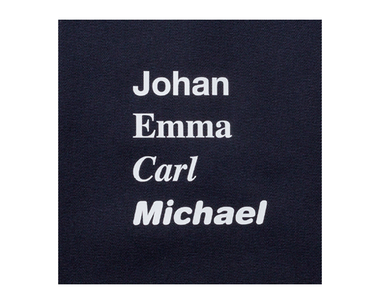 We can also print company logos if desired. Choose oval or rectangular, printed or cursive. White plastic signs can have blue, red, black or green text. Brass or silver signs have with black text. Brass signs can be made in black with brass coloured text. Max two text rows. Safety pins or magnets on the reverse. 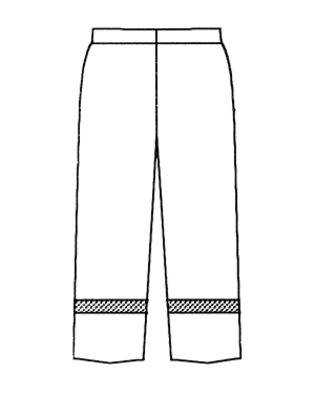 Lengthening and shortening of legs and sleeves. 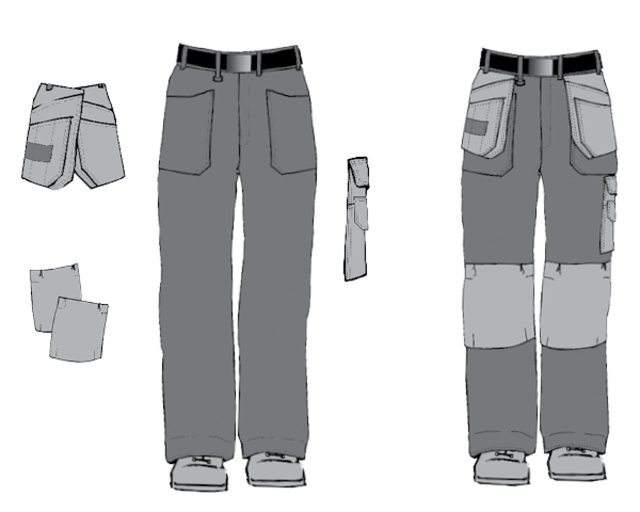 Sewing on knee pockets, loose-hanging pockets, leg pockets, mobile phone pockets etc. 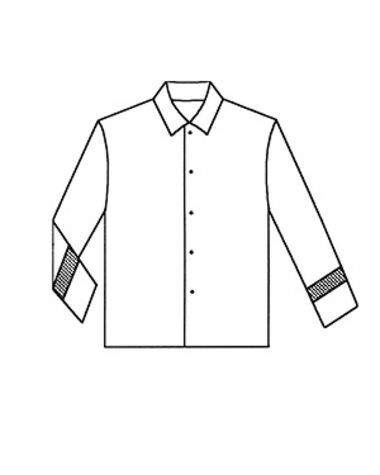 Covering buttons with flaps and plackets. 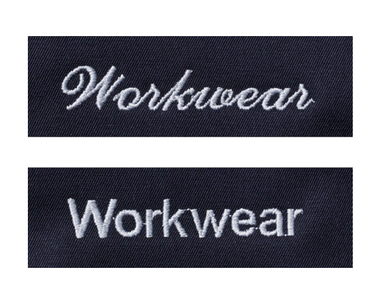 Personalising stocked garments with special colours on collars, pocket flaps and cuffs etc. ​​​​​​​Please note! 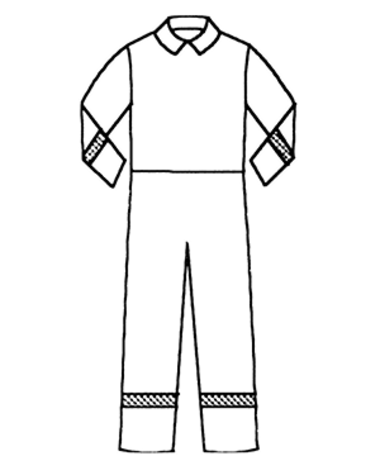 Please note we cannot make seam adjustments to water and windproof garments. 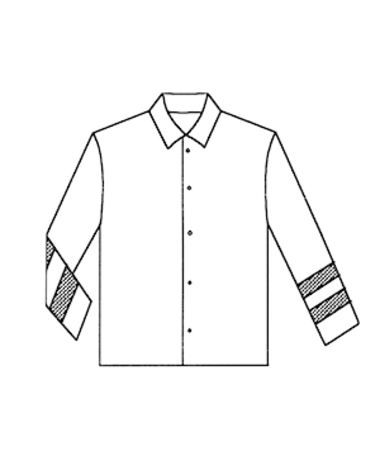 Reflective tape can be attached to finished garments as in the sketches for an additional cost. 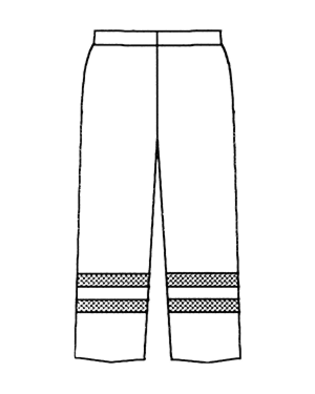 The reflective tapes are available in the colours 70 Yellow, code: 129 and 95 Silver grey, code: 106. 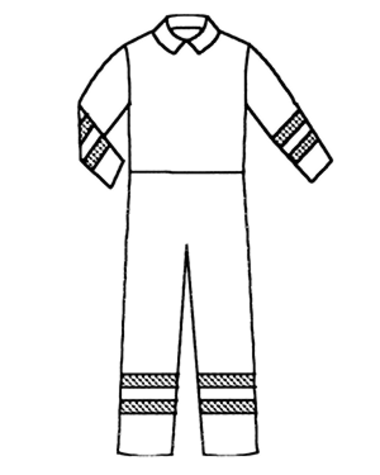 Yellow reflective tape can only be sewn on, not ironed on. 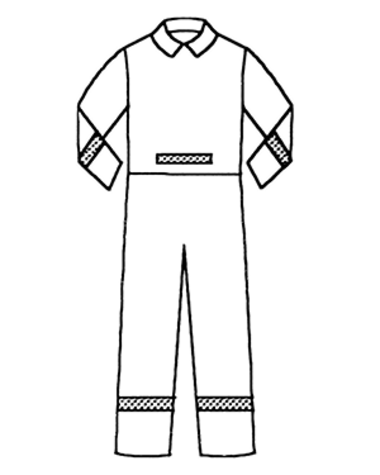 Garments with reflective tape should be washed according to the instructions below. PLEASE NOTE! 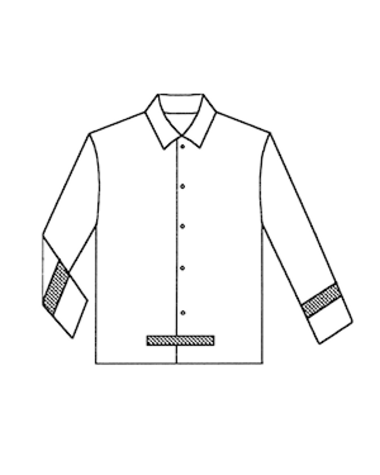 Follow the washing instructions for the garment if they state a lower temperature.